Sylvie Gaarová (2007): Etologie a ekologie želvy černavé (Heosemys grandis) v pražské zoo (Ecology and ethology of Giant Asian pond turtle (Heosemys grandis) in ZOO Praha, thesis) content: Ethology, reproductive biology and postnatal development in the Giant Asian pond turtle (Heosemys grandis) in captivity. If you know another publication that is not listed, please post it here. 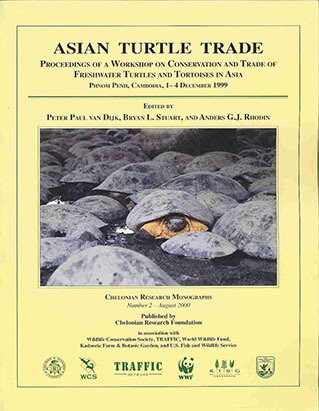 Note: the keywords and descriptions only cover what an article or book says about Giant Asian pond turtles.